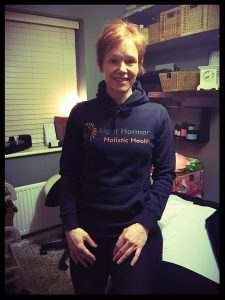 Janine is a fully qualified Holistic Therapy Practitioner of over 10 years, with comprehensive client and practitioner insurance and accreditation with The Guild of Holistic Therapists. Inspired by her love of essential oils and natural therapies of many years, Janine can help you to unwind, feel revitalised, aid sleep, relaxation and also help to treat muscular and postural tension through holistic therapy massage and aromatherapy. Please do note that Light Harmony is a female only practice. Do click through to find out more about Light Harmony Holistic Therapy, and our range of massage therapy treatments. Don’t hesitate to contact Janine to book an appointment, or if you have any questions at all.